What distinguishes Dr. Mayfield's boutique-style plastic surgery practice is the unparalleled degree of personal attention given to each patient by every single member of his select staff. This is definitely not an "assembly-line" of cosmetic plastic surgery. Everyone involved in your treatment is dedicated to achieving the highest level of patient comfort, safety, and satisfaction. Dr. Mayfield maintains the strictest hiring and educational criteria for our office staff to make certain that patients are well cared for before, during, and after all cosmetic plastic surgery and skin rejuvenation procedures. 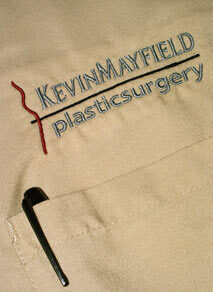 The staff at Kevin Mayfield Plastic Surgery, with a combined total of over 70 years experience in the disciplines of plastic surgery, ambulatory care, outpatient surgery, and inpatient surgical care, take great pride in their work and continually strive to improve professionally each and every day.